Going Green week continues with a clip from Steven Goddard, HP's Environmental Leadership Program Manager speaks about how the carbon footprint isn't as big as everyone thinks it is but still argues we should continue with reduction efforts. Yes, hello. I’m Stephen Goddard, I’m the Environmental Leadership Program Manager for the Hewlett Packard Graphic Solutions Business. I’m here to talk about a couple of issues in environmental responsibility in printing and first of all thinking about the carbon footprint of printing. And one of the issues we’ve seen over the last few years has many accusations on printing that it destroys forests. That people are cutting down trees to make paper, and that’s feeding the printing industry. And you know, we know that certainly in North America and in Western Europe, that’s really not true. There’s a lot of recycled paper used in paper manufacturer, anything up to about 65% in some regions. And we know that paper is… typically comes from sustainable… the wood for paper comes from sustainable forests. And according to last weeks Economist Newspaper, the forests coverage in North America and in Western Europe is actually growing. Certain in the United States, it’s growing at the present time. So, the printing doesn’t have an affect on forest coverage, but it’s an industry, it certainly has a carbon footprint and it’s, I think our duty as a printing industry to try to minimize that carbon footprint, the energy that’s used in the manufacture of paper, in printing itself, of course we have all the distribution of paper and that the finished print, etc..
And one of the things that’s driving that carbon footprint today is the level of waste in the printing industry. And we know, for example that about 25% of books that are printed are never used. And in some part of the printing industry those figures are even higher. We know that for marketing collateral it’s about 30% for magazine printing it’s at least 30%, certainly in Europe. And even at point of sale signage, similar number, 30% we believe. So we at HP have been looking at ways in which digital on demand technology can help to reduce this level of wastage and hence reduce the carbon footprint of printing. 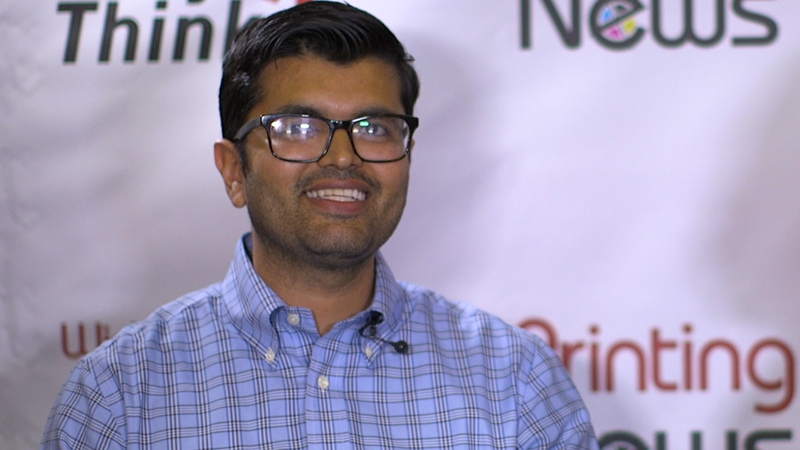 And now we have… really have the technologies to do that and one of the solutions that we’re exhibiting at this show is our, our HP Inkjet Web Press family of printers starting to play a role now in the publishing industry. and there’s a couple of ways… couple of strategies that you can employ to help reduce this level of waste, so for example, you can either print books on demand and really, you know as they’re needed, when they’re needed and perhaps where they’re needed. Or you can mix digital printing with offset printing of books. So we know that some of our customers are looking at using the inkjet web press to print a shorter run of books at the beginning of life and perhaps 500 to test the market reaction to the book whereas previous, they might have printed 10,000. 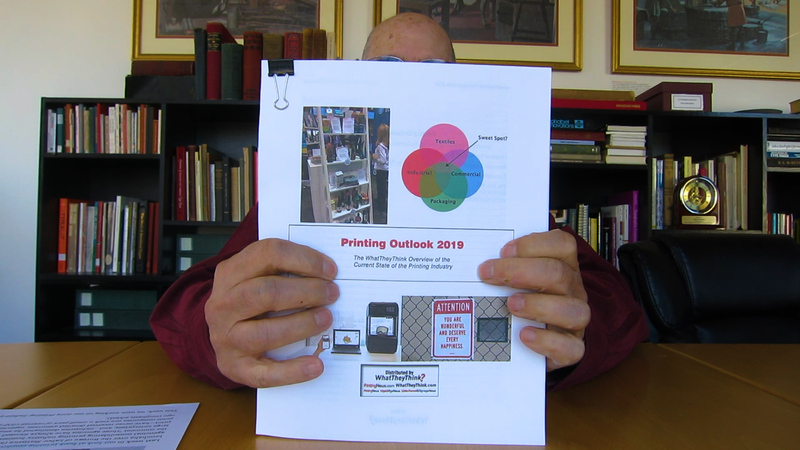 The reaction is favorable, of course, you can move over to printing longer runs on offset, and as the book reaches the end of its life you move back to printing shorter runs on the web press and you can keep inventory down and the level of wastage down. Actually there’s a third strategy, we know for example from Pierson is one company that has a strong and growing business in making customized textbooks for professors, teachers who are creating a run of textbooks for their students. And you know, here, there will of course know how many students that will have in their class and complete exactly the number of textbooks that they need and you can include really just the content they want and obviate the need for students buying a number of textbooks and chunks of paper they don’t need and reduced getting the content… the content they need. So there’s three ways there that you can reduce that carbon footprint of printing.